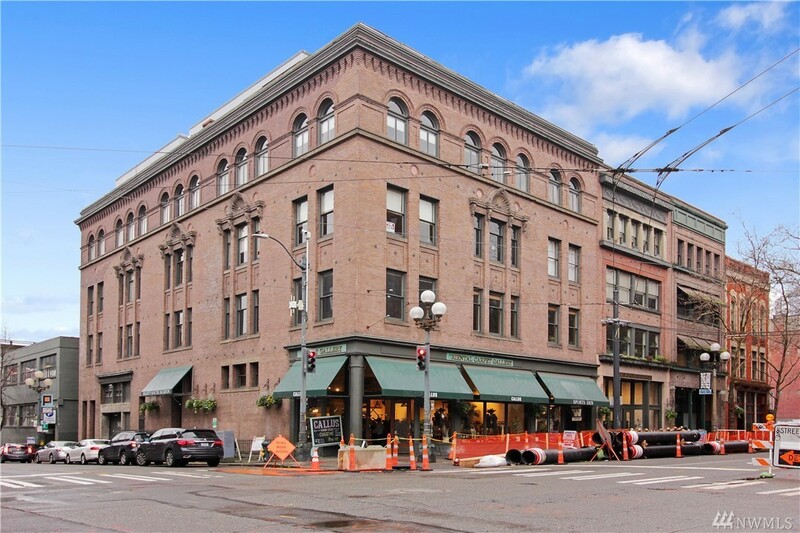 This is a spacious loft style condo located in vibrant Pioneer Square! There are large windows with newer natural wood slat blinds that offer ample natural light. There are original hardwood floors thru-out and exposed brick walls that have been sand-blasted and look amazing. There are high ceilings, four fans, and custom track lighting thru-out. There is a heat-A/C mini-split. The bedroom area has floor to ceiling storage. There is one parking space with a 220 hook-up and a huge storage unit. Parking Space Number: Letter "o"